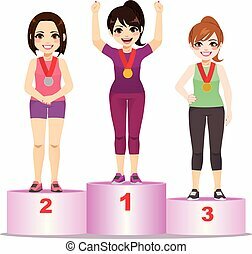 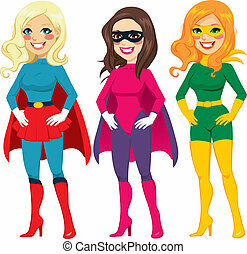 Superhero women standing. 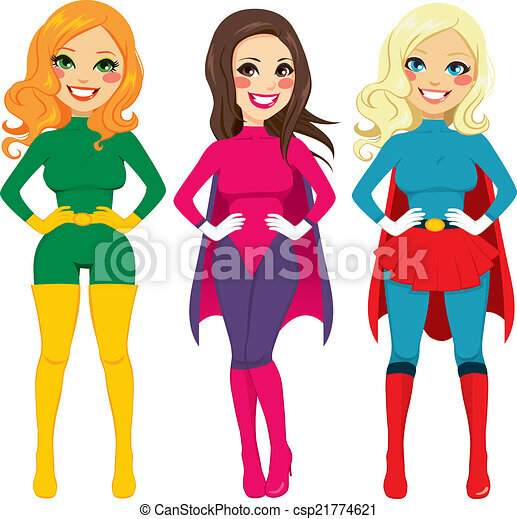 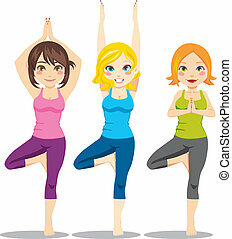 Three different women standing with hands on hips in superhero costume ready for halloween party. 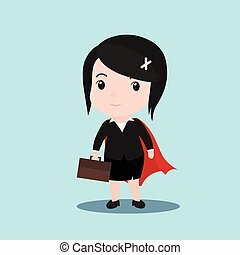 Superhero business women concept.vector illustration. 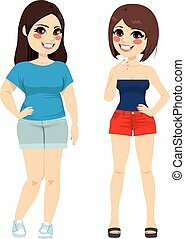 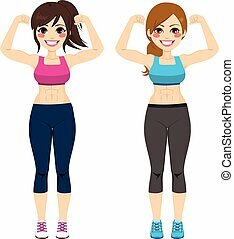 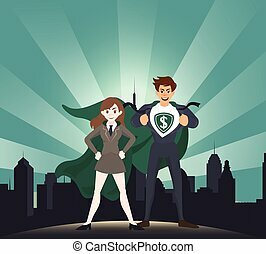 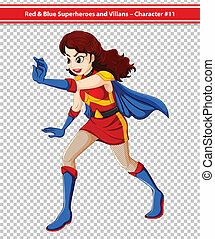 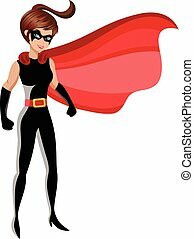 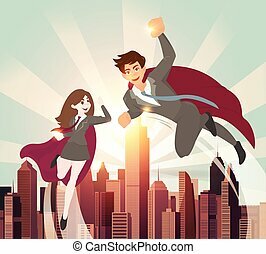 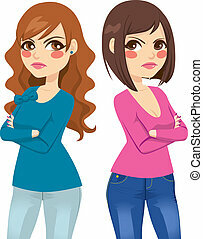 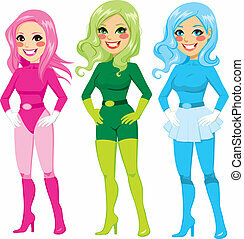 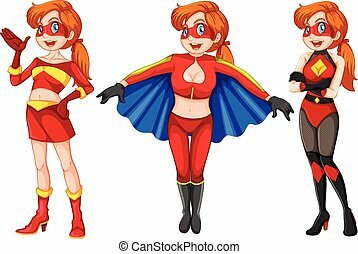 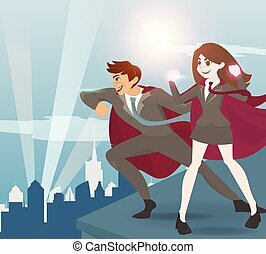 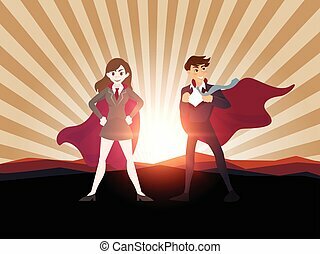 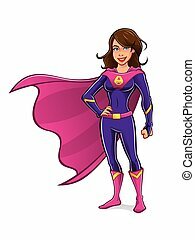 Cartoon Illustration of determined superhero and superheroine, standing side by side and looking in one direction. 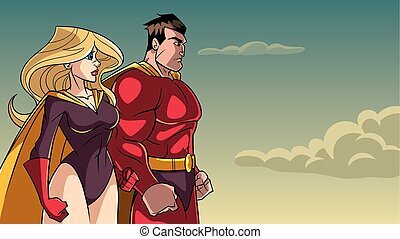 Man and women superhero with sunlight. 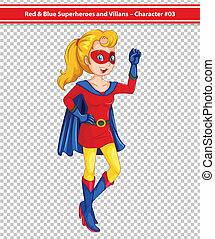 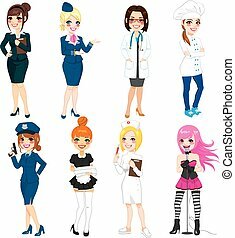 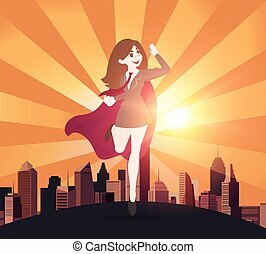 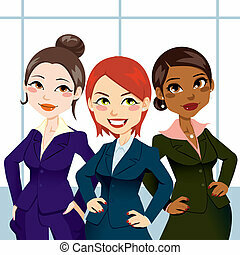 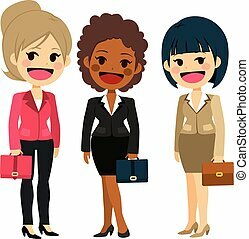 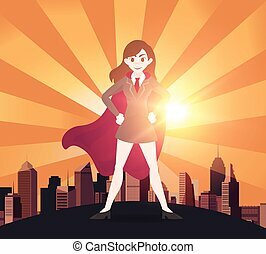 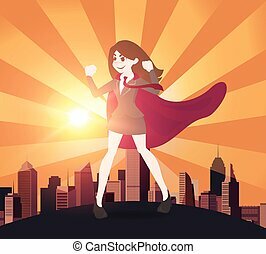 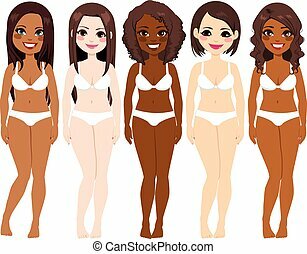 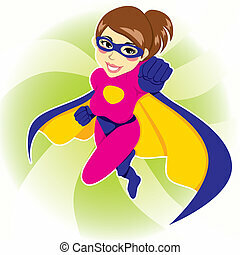 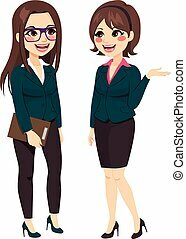 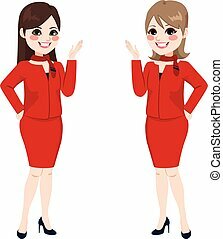 Business women superhero concept, cartoon vector.